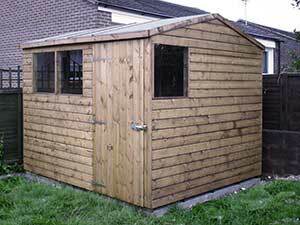 5' wide 7' 3" 6' wide 7' 6"
7' wide 7' 9" 8' wide 7' 9"
9' wide 7' 10" 10' wide 8' 0"
11' wide 8' 1" 12' wide 8' 3"
Door: 6' 2" x 2' 10" fitted with galvanised padbolt. 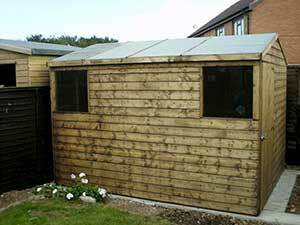 Windows: (24" x 24" fixed pane). 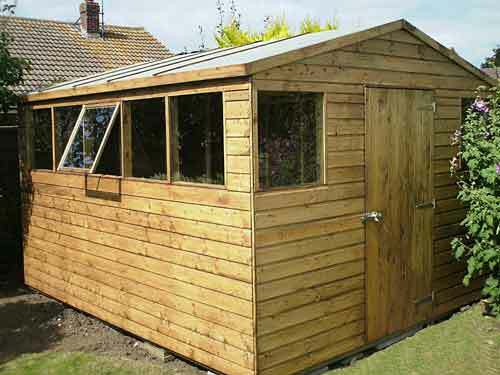 The number of panes included in the price of each shed is equivalent to one long side being glazed. 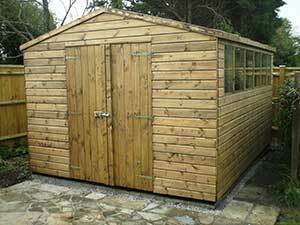 External Timbers Treated with preservative prior to delivery. 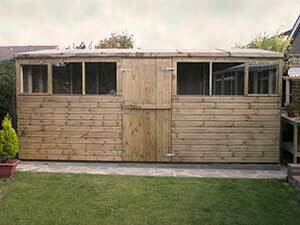 Height: Front 7' 4" Back 6' 8"
Door and windows positioned to customers requirements. 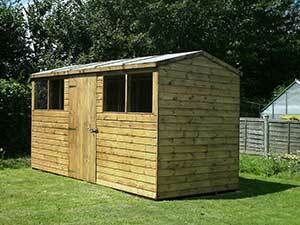 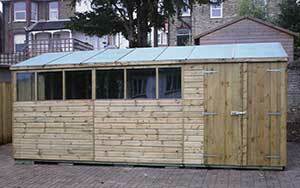 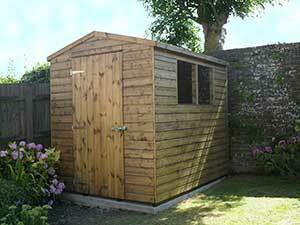 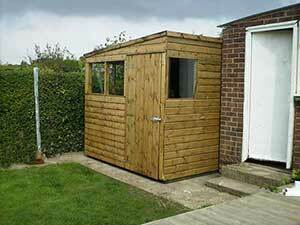 We erect our sheds FREE of charge provided that a suitable permanent base which is ABSOLUTELY LEVEL is available. 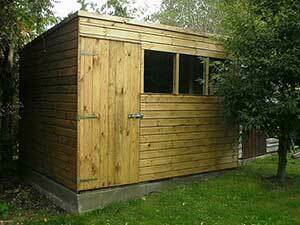 The base must be firm enough to take the weight of the shed and contents without subsiding. 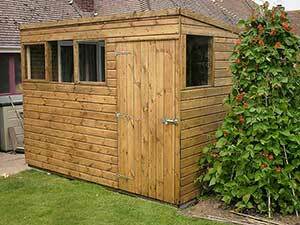 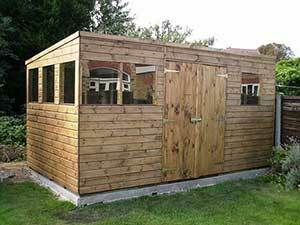 An uneven base will materially shorten the life of the shed and lead to problems such as doors and windows not fitting properly. 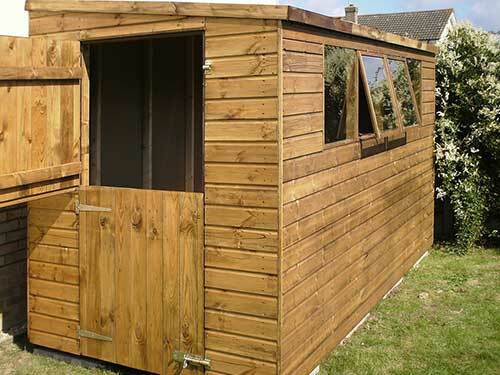 EAGLE SHEDS are custom built and can for example, position doors and windows to suit your garden - these are just a few examples of our custom built garden sheds. 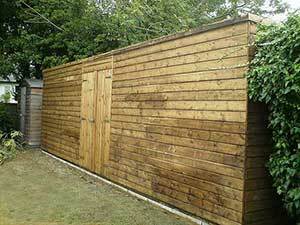 The Standard external cladding for a Workshed is Shiplap.